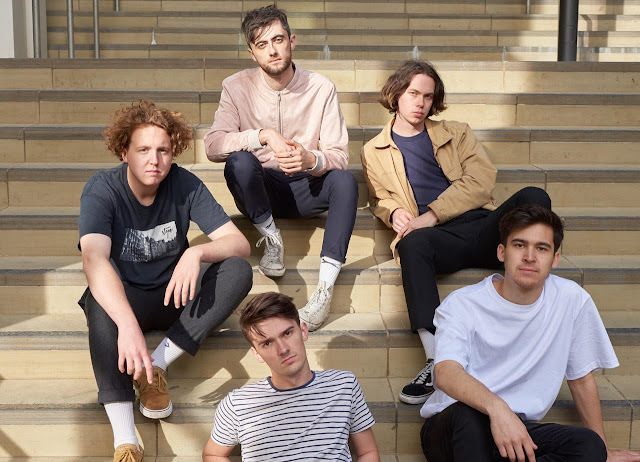 Island Club reveal lyric video for "Submarine"
We always bang on about the quality of bands in Brighton, and Island Club are no different, the quintet are back with a shimmering new track, "Submarine", and perfectly in time as the weather really does suit it! Having already amassed nearly 3 million streams on Spotify with upbeat indie bangers "Paper Kiss" and "Irresistible". With comparisons being made to Sundara Karma and LANY and a number of high profile live dates under their belt including a huge hometown show supporting Fickle Friends at Brighton’s Concorde 2, Island Club have fast become the indie-pop act you need to know. Singer-Songwriter S.O.S. reveals new offering "Firebrick"
S.O.S. is Sophie Debattista, who currently resides in London but originally born in Malta, which gives her music a slight Mediterranean flavour to it. She's an out and out singer-songwriter who also produces her own work, and on top of that is a licensed busker for London Underground, which is hard to get. Her latest track is "Firebrick" and really shows off her solid vocal abilities, with some beautiful vocal breakdowns and transitions in the bridges, mix that all in with the electronic based synth-pop structure and you've got on your hands a UK Top 40 contender right there. With a good background behind her already, with a scholarship at The Institute Of Contemporary Music Performance (ICMP) in London which enabled her to study and graduate with a first-class BA (Hons) in Songwriting.